According to the latest beverage panel data from Kantar Worldpanel Taiwan (KWP), after the plasticizer debacle in mid-2011, Taiwan’s beverage market has since recovered to pre-incident performance; with stable volume demand, and thanks to inflation and launch of more high tier products, 2013* beverage market sales value has already surpassed past performance and reached new peak. Furthermore, with record breaking temperatures throughout summer/autumn season, this has only helped further fuelled market demand for cold, refreshing drinks, and manufacturer’s desire to launch more new products; other than the biggest ready-to-drink (RTD) tea segment, market is also seeing more actions from sports drink, bottled water, takeaway cup etc. So who is the real driver behind the market’s rebound? Via on-going data tracked back the latest 3 years, KWP shares their insight into the reason behind beverage market’s bounce back. 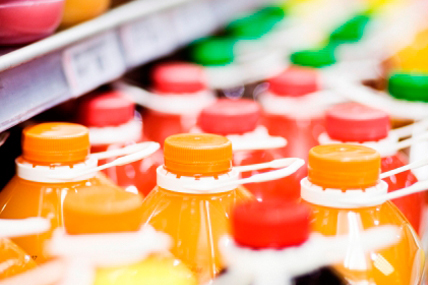 Amid the plasticizer debacle in 2011, sports drink and packaged juice took the hardest blow from this incident, causing the beverage market to slide to an all-time low. While for packaged juice the market remained sluggish, but fortunately for sports drink, opportunity has presented itself with the help from Taiwan’s fast growing sport population. According to the 2011 October data released by Taiwan’s Sports Administration, Taiwan’s sport population has now surpassed 80%, and KWP noticed as the sport population grows, so did the trend for sports drink products, with its penetration growing rapidly from a record post-plasticizer low of 60%, to 69% in 2013, which is equivalent of 9.72 million consumers, even exceeding the market’s pre-plasticizer performance. Other than return of the sports drink buying population, each consumer’s volume demand has now also recovered. With sport participation now a growing trend in Taiwan, there’s still much room for further growth, so long as manufacturers can continue to effectively communicate the benefit and occasions of sports drinks for the exercising population. The growing popularity of sporting trend is also a reflection of greater health awareness, therefore other than sports drink, water, with its natural, thirst-quenching and zero-calories characteristics, is also expected to gain some attention. According to KWP Taiwan’s data, Taiwan’s bottled water market has maintained health sales performance, with consecutive 3 year growth, and penetration hitting a 3 year high of 58%, making it one of the key contributor to beverage market’s bounce back this year. Data also shows that other than key target consumers, who are generally younger, this year the market has also gained quite a few consumers aged over 50. This group of older buyers are more concentrated in mid-to-southern Taiwan, and more-and-more buyers are adding bottled water into their basket as they shop around for daily necessities. RTD tea: smooth on the surface, turbulent underneath! New launches threatening old, Takeaway cups joining the battle! Other than categories mentioned above, RTD tea, the leader of beverage market has also shown stable performance, with market staying vibrant thanks to several new product launches. Since March this year, market has been seeing numerous launches including Coca cola’s Yuan Cuei, Every Morning’s golden oat tea, Liption’s double milk green tea, Taisun’s grass jelly tea etc. All have successfully stimulate market sales while attracting new buyers. However with new contestant in the field, there’s bound to be some casualties to the oldies. KWP Taiwan discovered that for 1H 2013, while 67% of the growth for new launches is contributed by extra demand, there is still 30% that came directly from switching of existing brands. It is not easy to prevent product switching with so many similar choices available in the market, at the very least it will be important for manufacturers to clearly distinguish products under their own umbrella, in order to prevent the cannibalization. In terms of flavour, KWP Taiwan pointed out that compare to the popularity of functional blended tea such as Sokenbicha, Chinjingmeicha and Shung-Shi-Er couple of years back, this year the market seemed to be in favour of “back to basic” trend, with the single flavoured green tea and milk tea gaining greater preference, especially in CVS. CVS has shown strong performance this year, much of it contributed by the new launches, demonstrating that much of new buyers are those who seeks out new experiences , and the importance of new launches to continue stimulate the beverage market performance. Despite demonstration of stable performance from RTD tea segment, the market is not without its predators lurking close by; in recent half year, Takeaway cup market has been busy with numerous new brands including KingTea, Teapatea, Stornaway make appearance in the market, making double digit growth to the Takeaway market for 1H2013, with 33% of the growth switching directly from the RTD tea segment! Other than tea, total Takeaway market including freshly squeezed juice, coffee etc. have been invincible in recent years. With penetration for total takeaway market now exceeding 60% for the first time, it appears that after the food safety incidents in past few years, freshly made takeaway drinks appear to be more accepted by the general public. Overall, one can clearly observe how the health concept has been the key contributing factor to all the growing categories. From growing sports population, natural goodness of water, to preference for single flavoured tea type and freshly made takeaway cups, all showing Taiwan consumer’s growing awareness for health and safety issue. For manufacturers, safe guard of ingredient source and clear communication of product safety will be vital for further growth.